The top lot in our September 19 auction of 19th & 20th Century Prints & Drawings is a masterful lithograph by Pablo Picasso of his muse, Françoise Gilot. The following notes from the catalogue describe their tumultuous relationship. 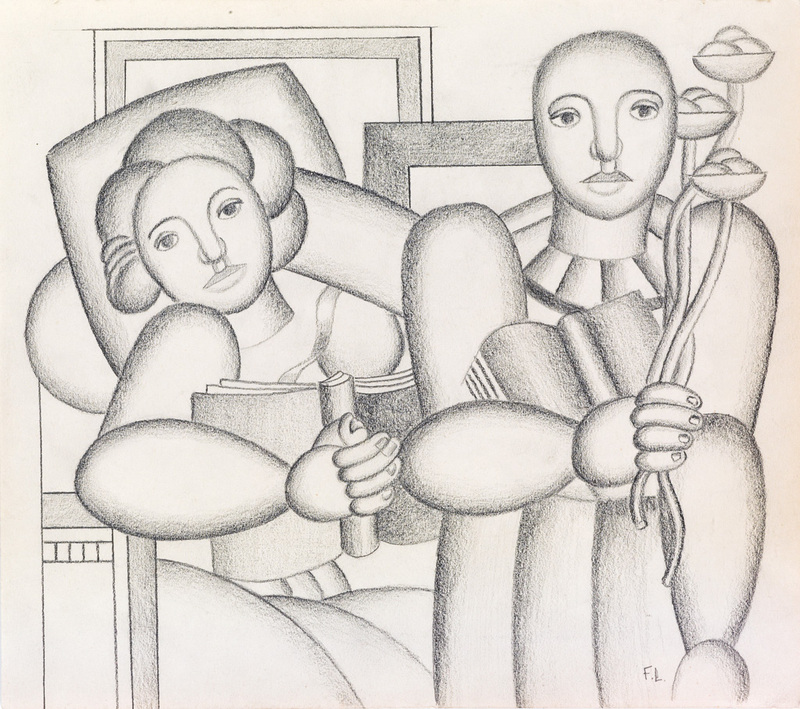 Lot 338: Pablo Picasso, Françoise sur fond gris, lithograph, 1950. Picasso called Françoise Gilot “The Woman Who Says No,” as she alone among his many lovers dared to defy him and ultimately left him in the south of France. She was his muse and mistress from 1943 to 1953 and the mother of their children, Claude and Paloma. Françoise was born to a wealthy family in Neuilly-sur-Seine. 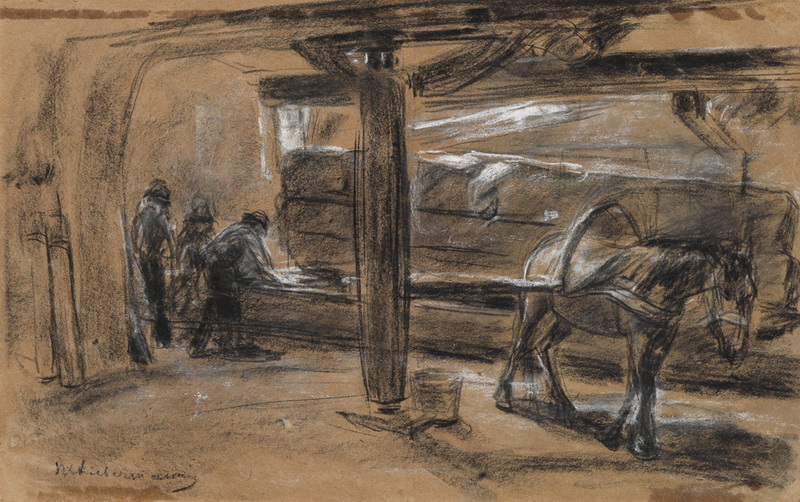 Her father was a businessman and her mother was an amateur artist. 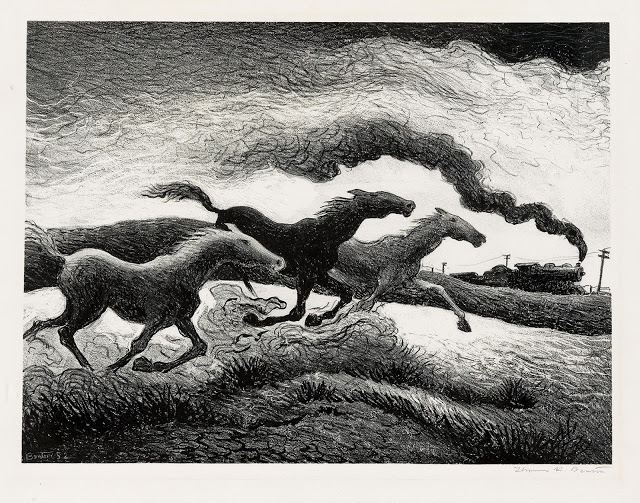 From an early age, Françoise yearned to be an artist like her mother, but her father forced her to study law, which she ultimately abandoned after several failed attempts to resist her father’s control, by 1942 devoting her life to becoming an artist. 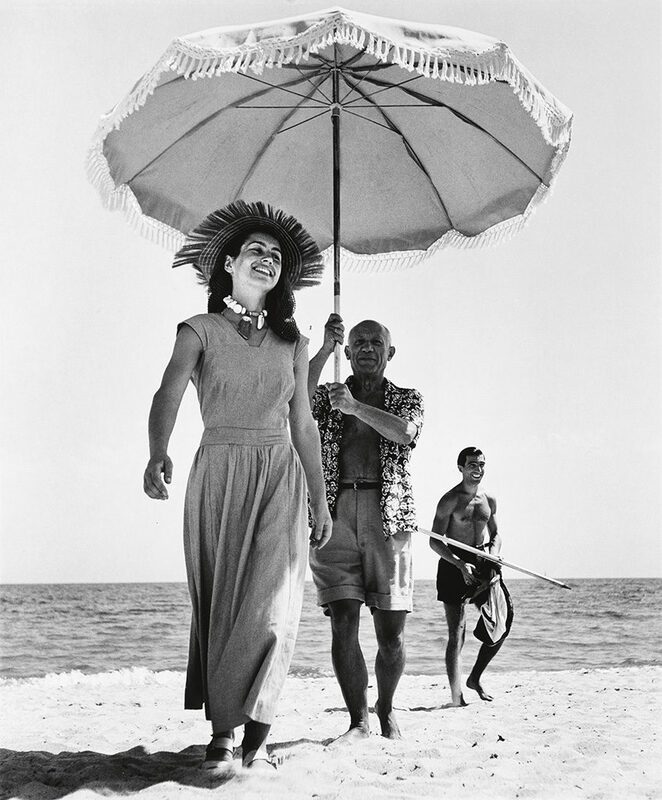 Robert Capa, Picasso and his wife, Françoise Gilot, Golfe-Juan, France, silver print, 1948, printed 1985. Sold December 12, 2013 for $6,250. Their relationship began the following year, when she was 21–a neophyte in the art world. Picasso, who had just turned 61 years old, was among the most famous living artists on the planet. Gilot put her artistic pursuits on hold to raise their two children. She and Picasso fought frequently, however, and by the early 1950s their relationship had dissolved. She separated from the artist and left their home in the south of France and to live with their children to Paris. 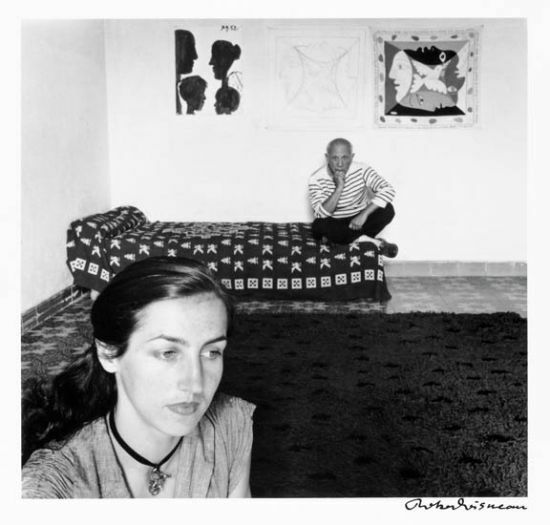 Robert Doisneau, Picasso et Françoise Gilot, silver print, 1952, printed 1980s. Sold April 4, 2012 for $2,880. Henri Matisse was also fond of Gilot and found artistic inspiration in her. He remarked that he would paint her with a pale blue body and leaf-green hair, prompting Picasso to create La Femme-Fleur, 1946, another famous portrait of Françoise, hyper-stylized with a pale blue body and leaves for hair. 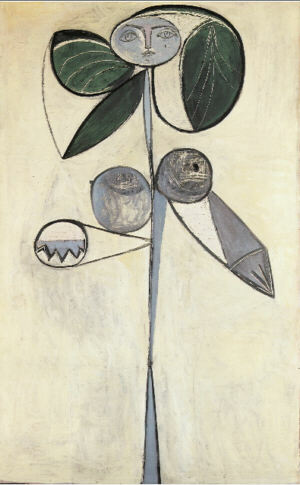 Pablo Picasso, Femme Fleur, oil on canvas, 1946. 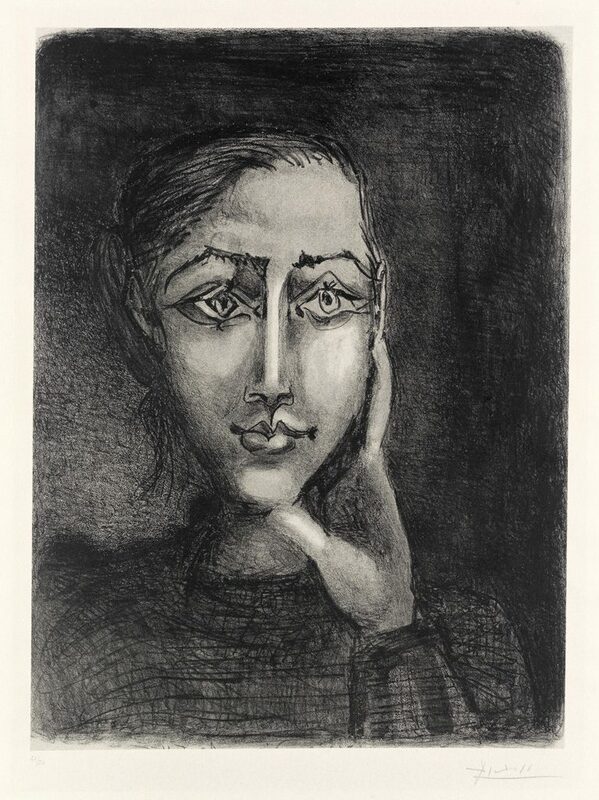 Françoise sur fond gris — a tour-de-force lithograph — is the second, more complete version of Picasso’s two lithograph portraits of Françoise from November 1950. He shows her with characteristic narrow, arching eyebrows, full lips and youthful visage. Impressions of this highly-worked lithograph were printed in black on a bluish gray paper (perhaps harkening to the blue-toned figure of Françoise in La Femme-Fleur) adhered to a sturdy cream wove paper during the printing process. The heightened drawing of the portrait and the quality of the printing process combine to produce perhaps the most visually stunning and successful lithographs Picasso created during the span of his prolific career. 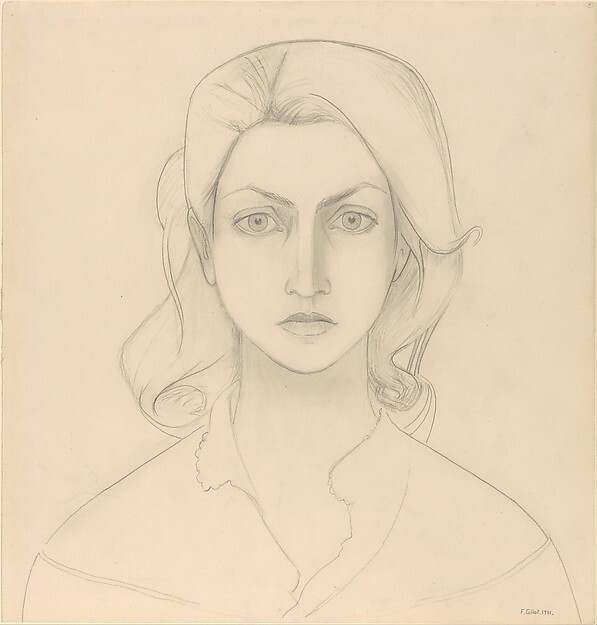 Françoise Gilot, Self Portrait Full Face, graphite, 1941. Courtesy of The Metropolitan Museum of Art. After leaving Picasso, Gilot returned to her own artistic endeavors. She wrote a memoir about their relationship, titled Life with Picasso, 1964. In 1970 she married Jonas Salk, the inventor of the Polio vaccine. She continues to paint in New York City. Browse the full catalogue for more.